Former smartphone giant BlackBerry has increased its footprint in the auto sector after striking a deal with China’s Yanfeng Visteon. The global Tier 1 parts supplier has selected BlackBerry’s QNX Platform for Instrument Clusters 1.0 to be part of a digital instrument cluster project with an unnamed major Chinese automaker, BlackBerry said. Terms of the deal are confidential. “BlackBerry QNX was the obvious partner for us due to their deep history in cybersecurity and reliable embedded solutions,” Jayesh Patel, General Manager of Yangfeng Visteon Electronics Technology (Shanghai), said in BlackBerry’s news release. BlackBerry’s presence in the auto sector has expanded steadily since acquiring Ottawa-based QNX Software Systems in 2010. The QNX platform allows the integration and smooth, secure operation of information and entertainment systems designed by diverse sources. The platform can be found in more than 60 million vehicles. 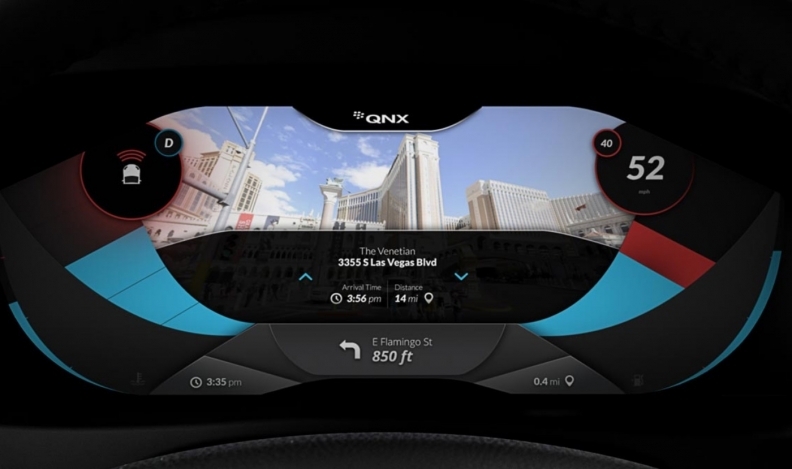 “BlackBerry’s QNX technology has been powering digital instrument clusters in vehicle brands such as Alfa Romeo, Audi, Corvette, Jaguar and Range Rover since 2009,” said BlackBerry QNX senior vice-president John Wall. In September, the company announced its BlackBerry QNX would collaborate with Delphi to bolster software performance and safety in their operating system to advance autonomous driving technology. It also announced Titanium Transportation Group had adopted the BlackBerry Radar tracking solution for its fleet of flatbed trucks.